Defense Secretary Ash Carter is tired of losing out on talent because of outdated marijuana policies. Watch what he has to say. Is the U.S. military changing its opinion on cannabis? In a recent interview, Secretary of Defense Ash Carter stated that it’s time the military gives a little in regard to cannabis. Carter wasn’t talking about troops on the ground, however. These leniencies apply specifically to hackers and computer programmers the government hopes to recruit. Here’s why the U.S. Defense Secretary hopes to employ cannabis users. Who doesn’t smoke cannabis these days? Current hiring policies for key government positions bar cannabis users from employment. This is true of both present and past use. Unfortunately, turning away cannabis-loving applicants has bitten the FBI and the military in the bum. Back in 2014, FBI Director James Comey admitted that the no-use policy has caused the institution to lose out on some talented hackers. Another report from the Department of Justice owned up to the fact that they are struggling to find cyber employees that haven’t consumed the herb in the past. In order to land a government job, you need to have been cannabis-free for a minimum of 3 years prior to employment. Unfortunately for the Feds, people smoke a lot of herb these days. Super genius basement hackers and Silicon Valley entrepreneurs included. 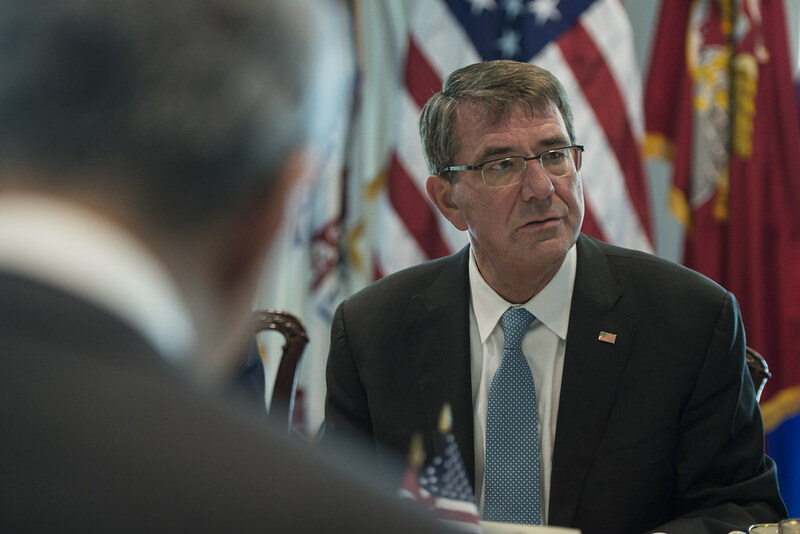 U.S. Defense Secretary Ash Carter is well aware of this hiring gap. He wants to do something about it. Carter was interviewed by Matt Burns at the TechCrunch Disrupt SF event earlier this September. We are changing that in recognition of the fact that times change and generations change, and, by the way, laws change, as respecting marijuana. […] While protecting ourselves and doing the appropriate things to make sure that it’s safe to intrust information with people, we need to understand, and we do, that lives have changed. Not hold it against [prospective employees] things that they’ve done when they were younger. […] The important answer is yes, we can be flexible in that regard and we need to [be flexible]. This flexibility is a major change in tune from previously strict policies. Though, Carter still comes across as a little apprehensive. He makes a point of saying that they are relaxing their judgment of people who experimented with cannabis “when they were younger”. So, those who continue to consume the herb may be exempt from this new moment of tolerance. Yet, it’s certainly good to hear that such a prominent government figure recognizes that times are changing, and outdated policies need to change in accordance with cultural and social evolution. If the military, FBI, and Department of Justice cannot adjust, they’re going to continue to have trouble finding quality talent. Every time a major government official shifts a little on cannabis, we’re one step closer to legitimizing the herb. The majority of public opinion favors legalization and supports the medicinal use of cannabis. However, getting the government to budge on the issue is still akin to pulling teeth. Carter’s tentative flexibility is a definite win for the industry. What do you think of Carter’s decision? Share with us on Facebook, Twitter, or in the comments below. We’d love to hear from you!